Nature’s Acres offers professional dog training services with our on-site trainer. Group classes and private lessons for adult dogs and puppies are currently ongoing. New clients are welcome to start classes at anytime. Services offered include obedience, socializing and confidence, and puppy introduction. 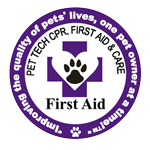 Please contact Nature’s Acres for trainer information or visit pdxk9.com for more details on schedule of classes, rates and more. Nature’s Acres Kennels is a large, off-leash dog boarding facility and daycare located in outer SE Portland. Situated on three acres of lush, green open space that is perfect for dogs to explore, we have fields and small forests and plenty of roaming space. Whether for boarding, daycare, training or grooming, Nature’s Acres offers a uniquely luxurious experience for your dog. Only 20 minutes from Downtown Portland! Just 5.5 miles east of I-205 on Foster Rd. Address: 18651 SE Foster Rd.